Mumbai : Royal Stag Barrel Select LargeShort Films premiered 4 powerful short films by acclaimed Bollywood directors at the 19thJio MAMI Mumbai Film Festival with Star this year. 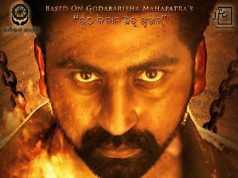 As a part of their association with the festival for the second time in a row, the platform screened ‘Anukul’ by Sujoy Ghosh, ‘Death of a Father’ by ChaitanyaTamhane, ‘Churri’ by MansiNirmal Jain and ‘Juice’ by Neeraj Ghaywan. Strengthening this partnership and taking this alliance with MAMI a notch higher, Royal Stag Barrel Select Large Short Films also created a stage to these master storytellers to share their ‘pursuit to perfection’ stories over a unique panel discussion. Being one of the most credible and celebrated stages for short films in India, Royal Stag Barrel Select Large Short Films continues sponsor the Short Film category at this esteemed film festival in Mumbai.The Mumbai Film Festival is the biggest movie feast in India showcasing the latest cutting-edge, independent cinema from across the world. The association will help to promote new trends in the cinema space and also strengthen Large Short Films as a big platform for short films in India. The 4 brilliant short films that were premiered at the festival in collaboration with Sujoy Ghosh, ChaitanyaTamhane, NeerajGhaywan, and MansiNirmal Jain alsogotexposure to international audiences as the festival was attended by filmmakers from around the globe. Royal Stag Barrel Select Large Short Films Known has been closely working with these stalwarts in the film fraternity, who are known to delivering original content and resolve for ‘Perfection’. Together they are trying to bring back the culture of promoting unique ideas with MAMI, and revive the art of storytelling through their short films. Speaking about the association, Raja Banerji, Assistant Vice President, Marketing, Pernod Ricard India, said “Owing to the growth of the short film industry in India, we wanted to take our association with MAMI to the next level this year. While we are extremely proud to own the Large Short Film category, we are also absolutely thrilled to premier these 4 incredible short films by renowned directors at the festival. We are glad that talented directors from the film industry like Sujoy Ghosh, ChaitanyaTamhane, NeerajGhaywan, and MansiNirmal Jain have come forward to help us make our partnership with MAMI grander. This association is highly crucial for us as Royal Stag Barrel Select Large Short Films has carved a niche for itself and is the only platform that has been constantly rooting for originality, perfection and finesse.”Royal Stag Barrel Select Large Short Films has ushered in a revolution in the field of filmmaking. Through a slew of powerful short films, the brand has successfully redefined movie-watching for cinephiles. The films presented are powerful, cutting-edge and original with the potential to bring about change. 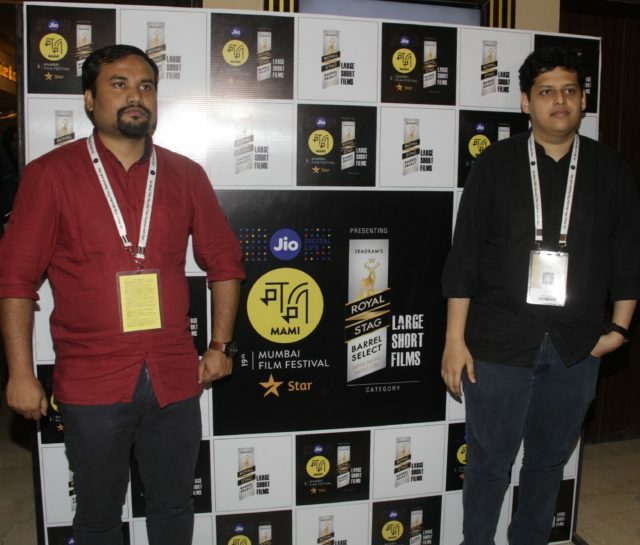 United in their commitment to the short film genre with Jio MAMI with Star, Royal Stag Barrel Select Large Short Films has also created a challenging contest for aspiring filmmakers across the country. Inspiring them to create original short films and providing them the right stage to showcase their work, the platform will screen 10 best short films/ the perfect 10 at the festival. Out of these, one director – the jury’s favorite will get an opportunity to intern with Vidhu Vinod Chopra. The contest will be judged by an eminent jury comprising producer and actress, SrishtiBehl Arya, actor Rajkummar Rao and film director and screenwriter NityaMehra.Sharing his excitement at the premiere of ‘Anukul’, director, Sujoy Ghosh said, “The short film industry is rapidly evolving and I am extremely proud to associate with Royal Stag Barrel Select Large Short Films and screen ‘Anukul’ at the JIO MAMI Mumbai film festival. I have been associated with the platform for more than two years now and I believe it is the perfect stage to celebrate the short film industry in the country. Not only has it gained immense popularity but has become one of the most credible and renowned platforms for short films in India.”Commenting at the premier, ChaitanyaTamhane, director of ‘Death of a father’ said, “Death of a father is the first animated film to release with Royal Stag Barrel Select Large Short Films and I am extremely delighted to associate with this incredible platform. They are undoubtedly doing phenomenal work by providing aspiring directors and artists with the perfect platform and recognizing work of many upcoming artists as well”. Talking about her film,‘Churri’, MansiNirmal Jain, said, “I am indeed thrilled for the premier of Churri at the JIO MAMI Mumbai film festival.It is a film with an unconventional and surprising plot. The way Tisca Chopra and Anurag Kashyap have played their characters is commendable. 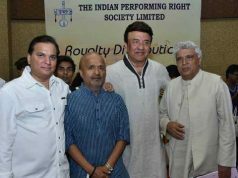 It is a matter of great pride for me to associate with Royal Stag Barrel Select Large Short Films, the platform has acted as a torchbearer for short films in the country. 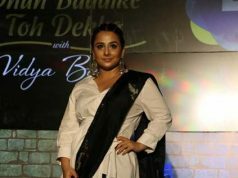 The platform has created a niche for itself by presenting short films with original storylines, powerful acting, captivating cinematography and intense direction”.Talking about ‘Juice’, director, Neeraj Ghaywan, said, “The film showcases an apparent irony of our patriarchal society that has so comfortably made room in our lifestyle and I am sure many will be able to relate to this film. I am delighted that Royal Stag Barrel Select Large Short Films has given me the opportunity to screen the film at Jio MAMI festival.The platform has truly redefined movie-watching for the audience over the past few years and has motivated content creators to strive for perfection”. Themed on the philosophy of “Make it Perfect”, The Royal Stag Barrel Select Large Short Films is a platform for aspiring directors to feature along with mainstream Bollywood directors while still chasing their creative energy to create a niche for themselves in the industry. The platform gives a credible stage to the storytellers to showcase their artistic creativity and reach out to their target audience through the digital world. The 4 short films that will be premiered during the MAMI festival by Royal Stag Barrel Select Large Short Films are perfectly unique and incredible works of art.• ‘Anukul’ is a short story by Satyajit Ray that delves into the changing relationship between a human and a robot. Addressing issues like loyalty and duty, this latest short film has been directed by Sujoy Ghosh, who changed the landscape of the short film industry in India with his perfect short ‘Ahalya’.• ‘Death of a father’, an animated short by ChaitanyaTamhane is a story that gives an insight into the life of a young boy who tries to take charge of the situation post his father’s demise. Amidst the circumstances, he finds himself incapable of taking charge and is swept along with the tide of expectations which makes him blindly follow whatever he is asked to do. He still tries to look for opportunities to cope with the loss of his father and eventually death too ends up being just another mundane routine.• ‘Churri’, a short by MansiNirmal Jain, starring Tisca Chopra and Anurag Kashyap features the story of a couple where the philandering husband has an affair outside of his marriage. The unconventional plot of the movie will create curiosity in the minds of the viewer when the wife confronts the mistress and an unusual and surprising twist transpires. • ‘Juice’, another powerful short by Neeraj Ghaywan, starring Shefali Shah showcases a situation that is usual in every other Indian family during a family get-together where men get to enjoy the privileges like sitting in an air conditioned room and being served while women cook in the kitchen juggling between both the rooms on hot summer nights. Both men and the women don’t mind the discomfort or the privilege because of ingrained patriarchy that manifests itself unconsciously. This short shows the apparent irony and the patriarchy that we as a society have comfortably internalized.